Mid day of the grand opening the RTA booth was set up, the food trucks lined up and we waited. Not sure how well the word was spread we were still optimistic that the turn out was going to be good. People started to trickle in, some for the food, some for the track. 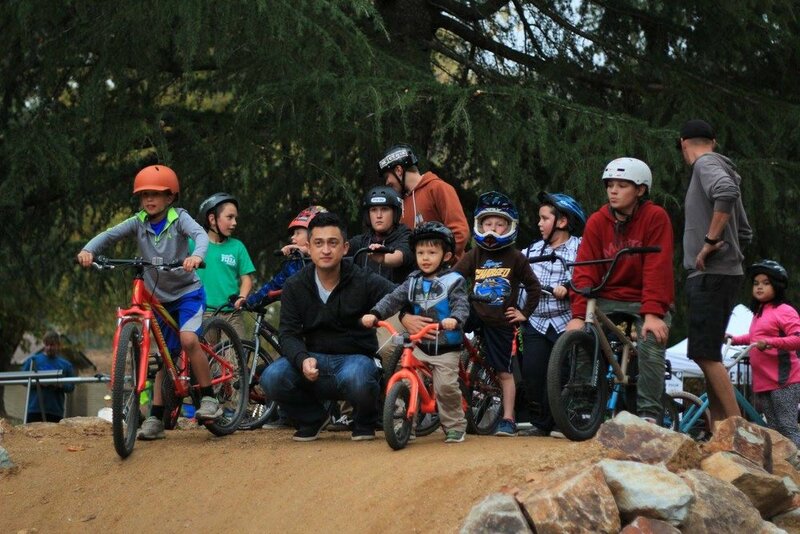 By 5 o'clock, there were more kids and their parents riding around the park than we could have possibly imagined. One thing that we were less optimistic about was how well it would be received. Building a park that is going to be fun for kids 2 years and up that they won't tire out because of lack of progression was not an easy thing. We constantly second guessed ourselves as to whether something was too hard, or too easy. After watching the kids ride late into the evening and hearing the feed back, we are still walking on cloud 9. Two quotes that we were told later by happy parents sum it up perfectly. "Mom, that was the best day of my life" Told to a mom by her young daughter the day after the grand opening. "No Dad, we go back" Told to Travis the City of Redding's Community Projects Manager by his 2 year old daughter as they left the park late in the evening. 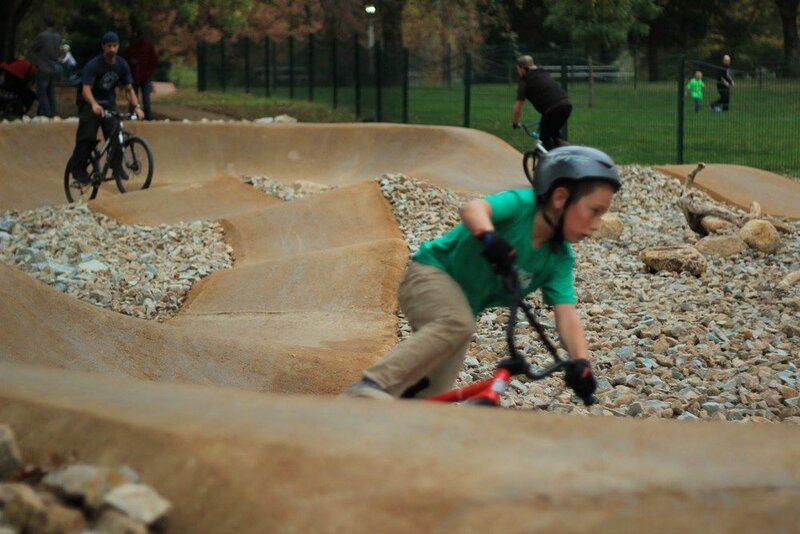 The Technisoil proved to be a great choice for paving the pump track. It blends in with the rest of the trails, and will hold up for years to come. The jump lined was so popular that sometimes a line extended 20 feet from the start hill. The children were very polite and conscientious of letting everyone have a turn. This young man has a pretty strong fear of getting on his bike. 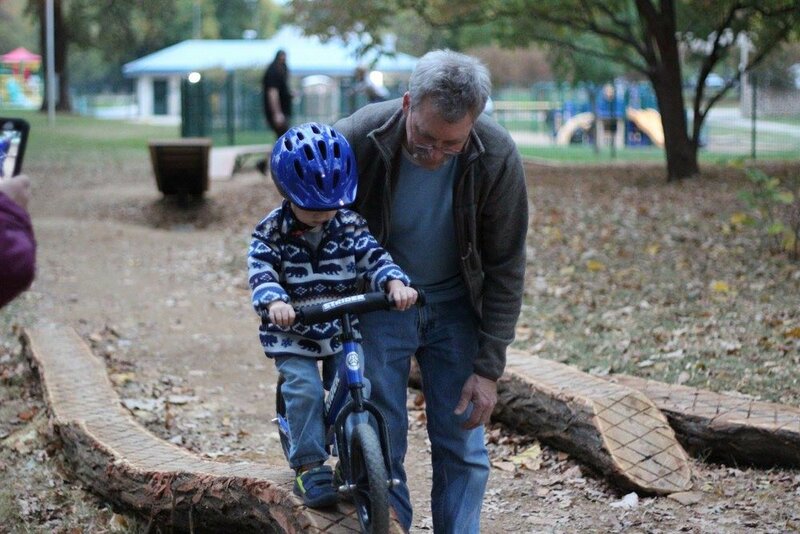 But after seeing all the other kids zooming around, he was determined to ride every obstacle, with the help of his Grandpa of course. 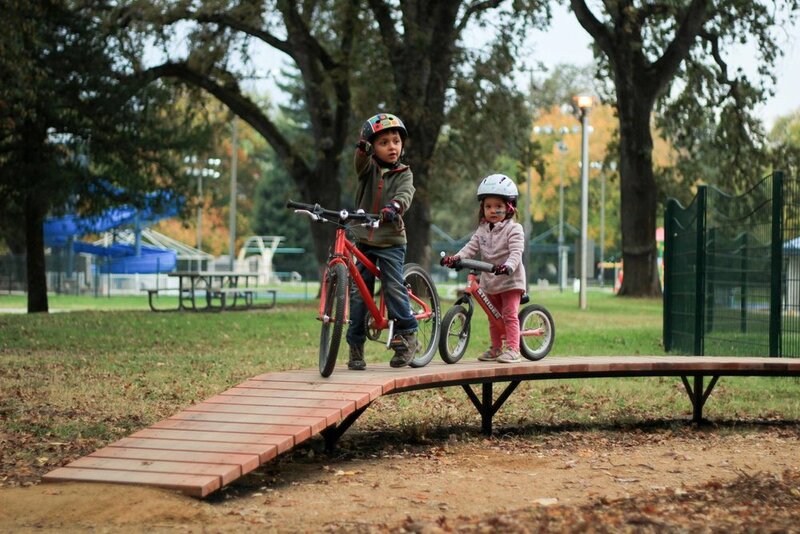 Redding Trail Alliance board member Mike Ruffell was creative in his use of the parks features. 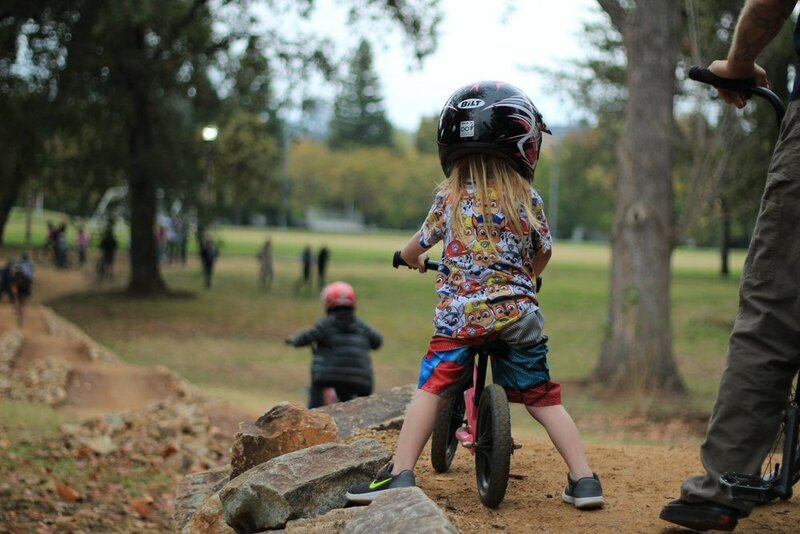 Jamie Lynn, a local contractor who donated his time and equipment to build the park, isn't ashamed of taking a few laps on his daughters bike. Every kind of bike was out, from striders to road bikes. Travis, the City's Community Projects Manager, giving his daughter a helping hand. Travis was a huge help in making sure the project happened and we are ever so grateful.